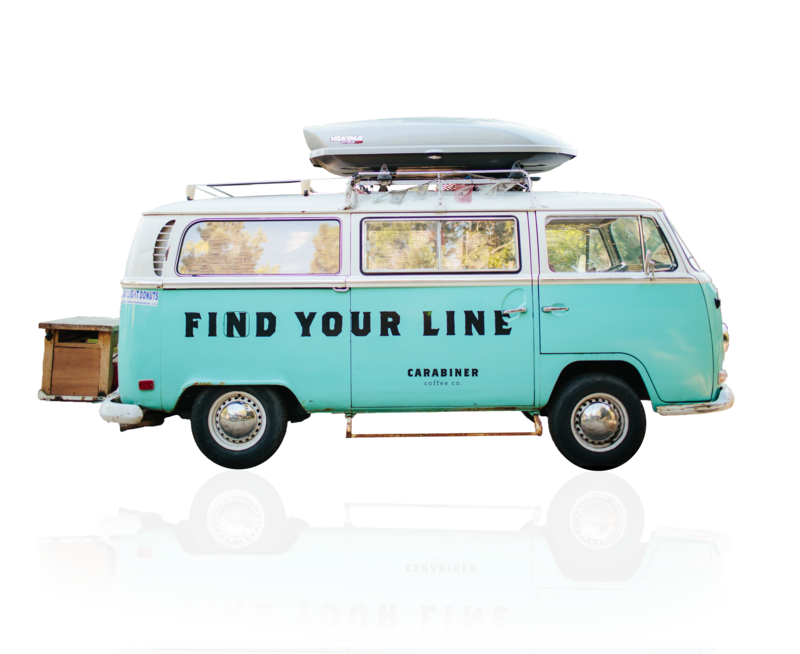 Carabiner Coffee was started out of a tiny apartment in the mountains of Colorado and we sell our coffee out of our '71 VW van righteously dubbed “Ol Blue”. It's a beautiful thing friends, it’s a beautiful thing. 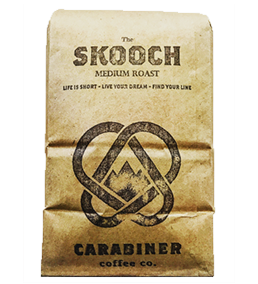 The goal here is to get great Colorado roasted coffee out there and into the bodies of the great climbers, hikers, bikers, boarders, skiers and mountaineers across the country that spend their days where they want to be and doing what they want to do. All because, we just want to be there out there with em’! A richly balanced medium roast with smooth hints of rum and toasted almond that show nothing but love every time you brew. 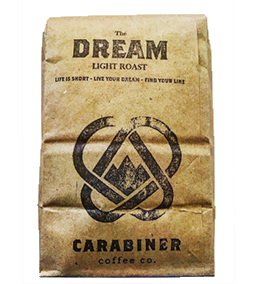 The Dream can best be described as what happens when honeycomb and blackberry fall in love and make the most amazing light roast you'll ever have. Notes of blueberry and cocoa come alive in this full bodied dark roast. You’ve found your coffee soul mate with this roast. We send amazing coffee and good vibes right to your doorstep every month! 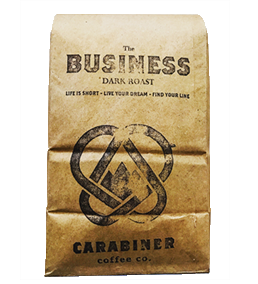 Carabiner Coffee is small-batch roasted in beautiful Boulder, CO. Our coffee is always responsibly sourced and shipped fresh to you. We sell freshly roasted whole beans right here on our website. Buy a single bag or sign up for our subscription program and have coffee delivered to your doorstep on the regular. We also sell our amazing brew directly from our 71' VW, Ol' Blue. We travel across the country serving up love, stoke and adventure with very cup we brew. Keep up with where we are and what we’re doing in your neck of the woods! Sign up for our email notifications and we’ll let you know where to find us. Also follow us on Instagram, Facebook and Twitter for daily updates!